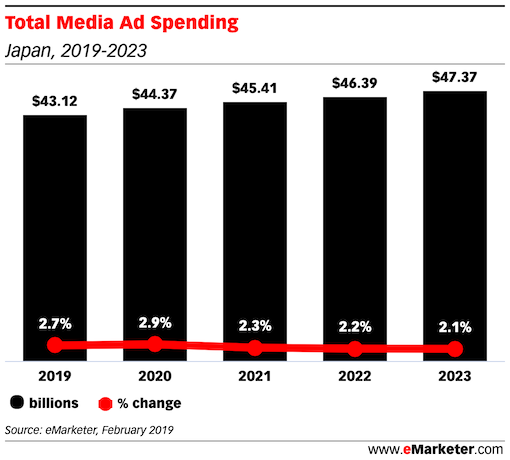 The absolute total media ad spend in Japan is lower than China mainly due to the huge Chinese population vs Japan. 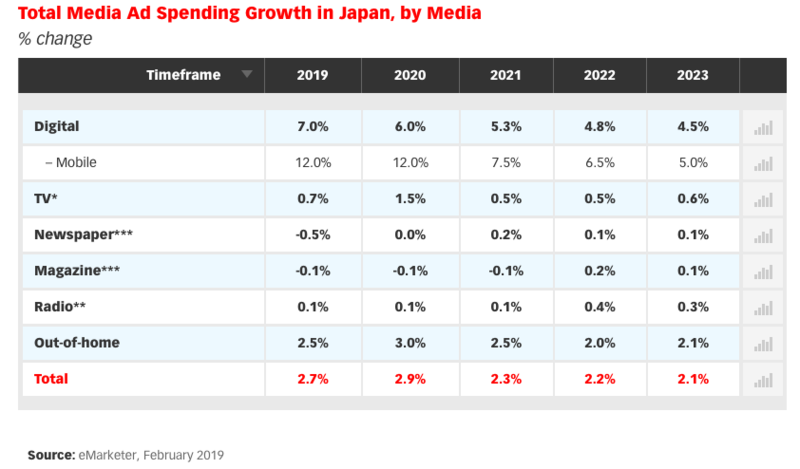 From the Japanese government, 2019 expected growth rate for the economy is around 1.3%. 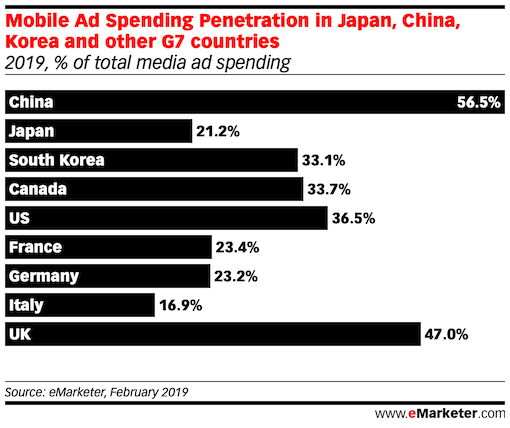 Japan ad spending growth rate is significantly lower than China or other G7 countries, except for Italy. 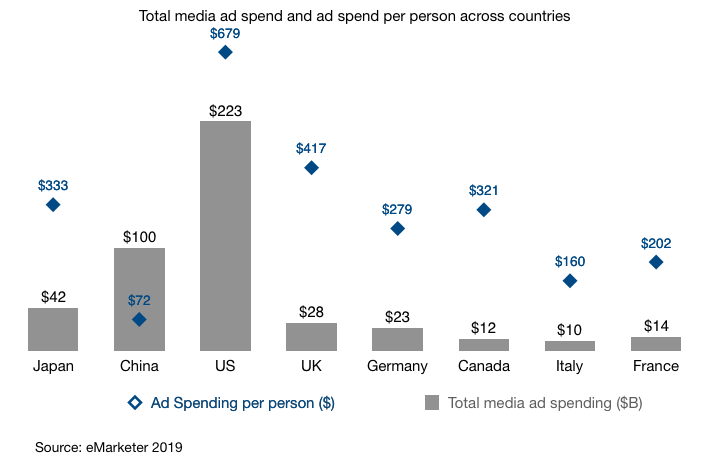 This trend continues over the next few years as per the table below. 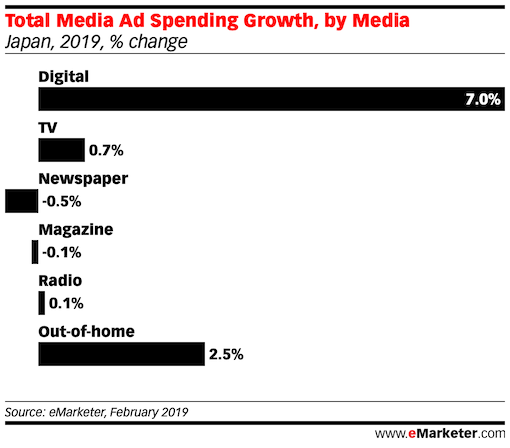 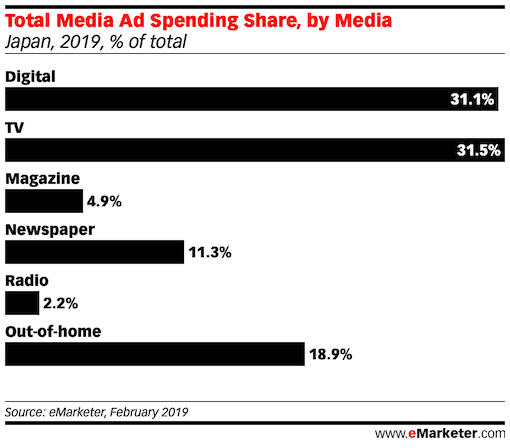 Out of home growth rate is on par with the overall media ad spend growth rate, which demonstrate the lresilienceof the channel. 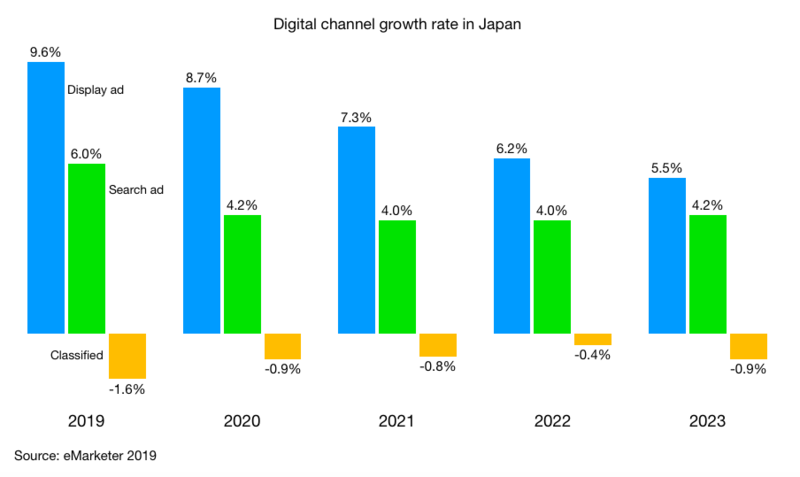 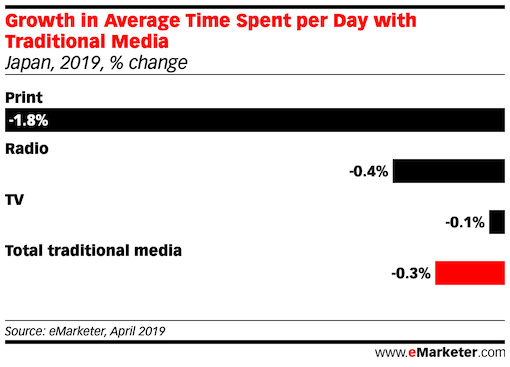 This trend is not surprising given the negative growth in time spent on tradditional media in Japan. 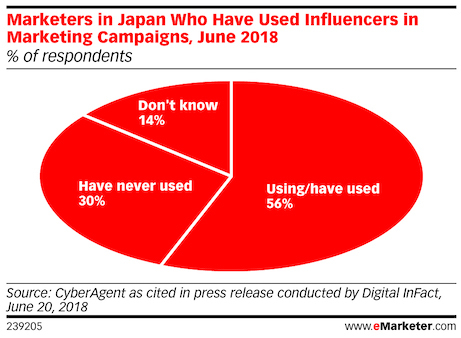 This partly shows that Japan advertising scene is not as advanced as other markets.